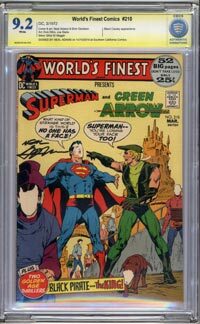 All non-certified comic books are graded according to strict Overstreet Standards (Please refer to The Overstreet Comic Book Price Guide for detailed definitions of various grades). 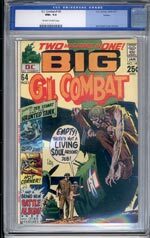 All certified comic books are graded and encapsulated by the Comics Guaranty, LLC (CGC), which is an completely independent, 3rd party grading company. -Credit cards through PayPal including: Visa, Master Card, AMEX And Discover. Postage will vary according to the item, number of items and value. See Chart Following. Insurance is mandatory. We do ship to foreign countries and prices will be adjusted accordingly. We do not negotiate postage and insurance rates. Federal Express service is available. $251-400 = $15 shipping/ ins. $401-750 = $17 shipping/ ins. $751-1,000 = $21 shipping/ ins. $1,001-2,000 = $23 shipping/ ins. All California residents need to add 7 .75% state tax to orders. Retailers may supply a resale lisence number. ARCHANGELS offers a full (not postage) item price refund to our customers who are not satisfied with their items. You must contact us within 7 days of receiving theitem(s) and let us know that they will be returned. All items must be returned in the same	exact condition as they were sent out in. Yes, we do accept returns even on CGC certified You may not "crack", "un-cork", or remove a CGC comic book from its holder and then deceide to return it. There will be absolutely no exceptions to this rule. Time payments are possible on higher value items. All time payments must be accompanied with a non-refundable 20% deposit of the full purchase price of the item. Time payments are interest free for first 60 days. After this, a 1% per month of unpaid balance owed will be owed by purchaser. Any questions, please contact us either by phone (310) 480-8105 or email rhughes@archangels.com Thank you. Please note that each certified comic book has been checked on the CGC Census Report at the time the actual item is written up for this web-site. If the book has been rewarded the Highest Current Grade by CGC then a Red Star is attached to the book, indicating that it has the Highest Certified Grade. If the book featured is one of the Top 5 Graded Copies, then a Blue Star will appear with the item. Please note that both the Red Star and Blue Star indicate that the item in question was the Top or Top 5 Certified Copies when the book was originally listed on our web-site. CGC up-dates their Census Report from time to time, and thus, books that have been given these indicators may not reflect this on the most currently up-dated Census Report. In short, ARCHANGELS does not up-date the Red and Blue Stars in accordance with the current CGC Census.